All Radeon 9000s are AGP 2x/4x so there's no need to tape pins 3&11. G4 Cube: Might need to relocate VRM; consider power issues! Mac Radeon 9000 Pro retail and OEM cards use TSOP RAM, PC Radeon 9000 Pro cards can be found with BGA or TSOP RAM. Both are reported to work with the original Mac ROM; you might be able to modify GPU and/or memory speed with Graphiccelerator to get better performance or safer settings. 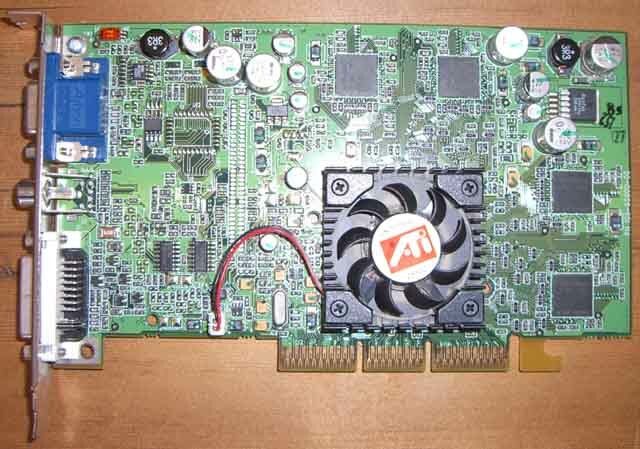 See the PC Radeon ATIFLASH Flashing Guide for PC/DOS flashing "How-To". It can also be flashed in a Mac using Graphiccelerator's ATI Multi Flasher tool with a Mac PCI card, using VNC to remotely connect to your Power Mac (or going the "blind way" if you know what you're doing). Note the orange block in the top left corner. By default, the top switch (#2) is set to "MF". 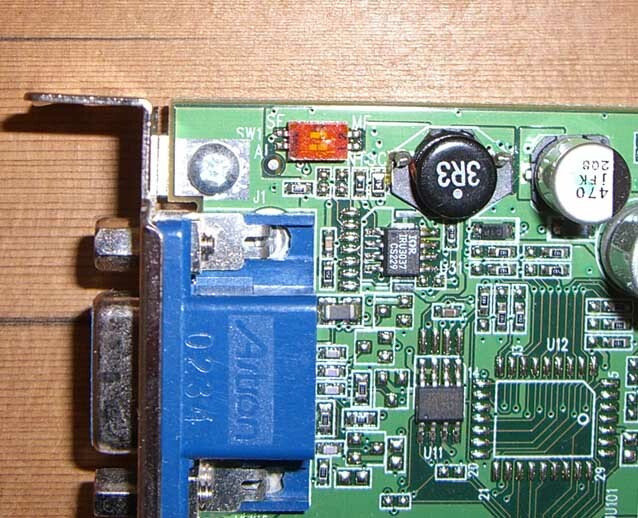 Once flashed with Mac ROM, this switch must be set to "SF" for the card to work properly in an AGP Power Mac.